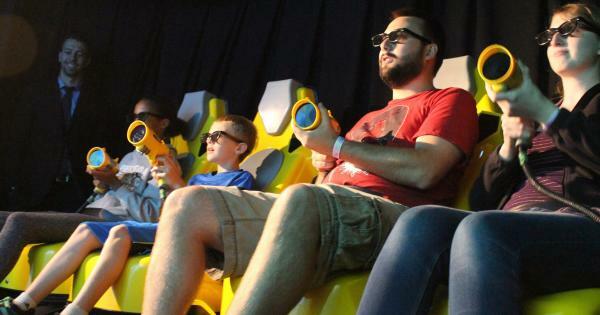 Fort Wayne is lucky to be home to four amazing laser tag arenas, and if you’re looking for something for your kids to do, I would consider laser tag. It’s a great way to have fun competing together, while you burn off some energy! 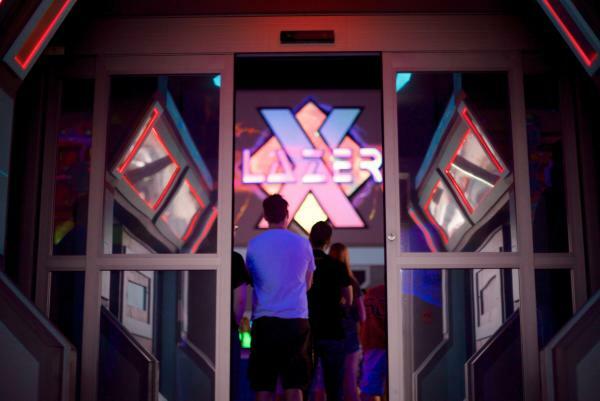 Lazer X has one of the biggest arenas for laser tag in town. There are many bases, structures, and ramps to play on. They have many arcade machines - some require skill, while others are sheer luck. You can cash in your tickets for awesome prizes that will help you remember your magnificent experience. Lazer X is conveniently located right behind Glenbrook Mall and many of our tournament facilities including the SportONE/Parkview Icehouse, SportONE/Parkview Fieldhouse, Spiece Fieldhouse and more. Piratez Cove, located inside Crazy Pinz, is one of the coolest laser tag venues in Fort Wayne. Everything is decked out in a pirate theme, and there’s even a giant pirate ship to run around on. Once you get enough shots on people, you get to have a rapid fire gun. It’s really fun seeing the faces of your opponents when you get this ability. At Crazy Pinz you can also ride bumper cars, climb into a humongus ball pit, step through a high ropes course, play glow-in-the-dark mini golf, or try your luck at a great arcade. There are activities for a wide range of ages there, which is nice for families. 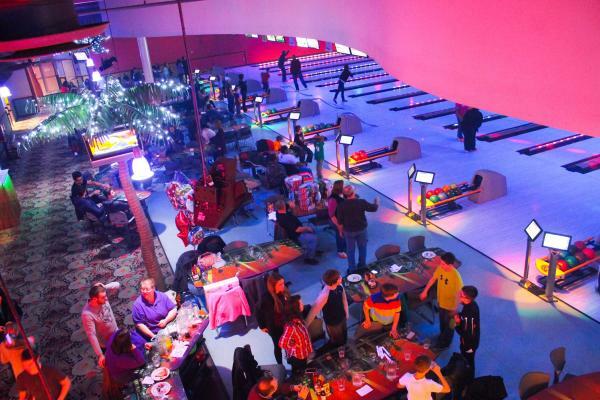 In addition, Crazy Pinz is home to 24 bowling lanes. Located just north of Fort Wayne and Coliseum Boulevard entertainment district. Ultrazone has arguably the best bases and structures of any place in town. It has giant spiraling ramps, a huge volcano base, and a maze. Although this facility is ginormous on the inside, it looks quite small on the outside. 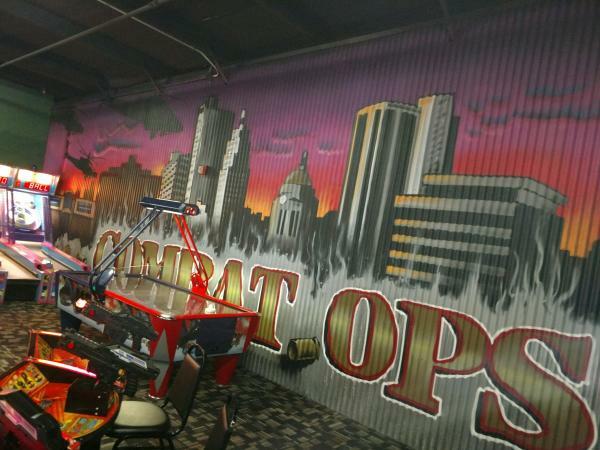 Don’t let the exterior keep you from enjoying this great laser tag arena. And while you wait, Ultrazone also offers an interactive arcade. You can also check out a 3D tour of their arena on their website - a cool way to be prepared for your game! Conveniently located near Glenbrook Mall and many of our tournament facilities including the SportONE/Parkview Icehouse, SportONE/Parkview Fieldhouse, Spiece Fieldhouse and more. Combat Ops is a great option for older kids. Play is more realistic and feels like you are actually inside a video game. For instance, there are abandoned vehicles to hide in, sniper hideouts, and to “kill” someone you have to shoot their head. You can also adjust your gun to perform in different ways, like in a video game. It’s a really awesome and more realistic twist on the other laser tag options. For those who prefer a lighter option, they also offer a nerf arena - which is a great way to enjoy nerf in a larger, competitive arena. While you wait, you can enjoy mini-bowling, a trip-wire laser maze, arcade and even axe throwing! Combat Ops is located right behind Spiece Fieldhouse, making it a walkable destination for many tournament groups. If your group has the “need for speed,” you may want to head to Fast Track - Fort Wayne’s indoor go kart track! The carts are fast, but they are 100% electric, meaning no smells or fumes, which is great for an indoor track. Fast Track recently added real Italian Racing Karts to their line up which are meant to be raced hard, fast, and are able to be drifted - which makes the experience even faster for experienced drivers! I also enjoy the fact that at the end of the race, everyone gets a printout to see how they drove for every lap! At Fast Track, you must be 13 years old and 60″ tall to drive. If you are 43” -60” they do have double-seater cars available that an adult can drive for you. Fast Track is also located on Coliseum Boulevard - east of the Memorial Coliseum. Georgetown Entertainment is owned by the same people who own Crazy Pinz - so you’ll recognize the wide variety of great activities to choose from. There are 24 lanes of bowling, a 4-D Dark Ride Interactive Movie Theater, and an augmented rock wall which my friends and I really loved - it was fun to compete in cool climbing challenges. Georgetown Entertainment also has a large bar and restaurant that the adults will enjoy! Georgetown Entertainment is located on the east side of Fort Wayne. In there warmer months, I love to play mini-golf at Putt-Putt. They have a fun mini-golf course - actually, there are three mini-golf courses! Each has a unique theme, some more challenging than others. They also offer an outdoor go-kart course that is very twisty and tons of fun! Putt-Putt is located just north of Glenbrook Square. No matter when you plan a visit to Fort Wayne, there are plenty of activities and entertainment centers to fill a weekend full of fun! Plan your getaway during one of Fort Wayne&apos;s great events for the perfect time to visit. 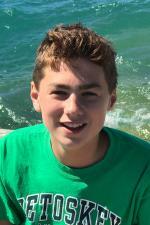 Will G. is a 13-year old Fort Wayne ambassador who loves Fort Wayne’s parks, festivals and attractions. He enjoys having the “scoop” on things to do around the Summit City, and is proud to share his favorites with his friends!